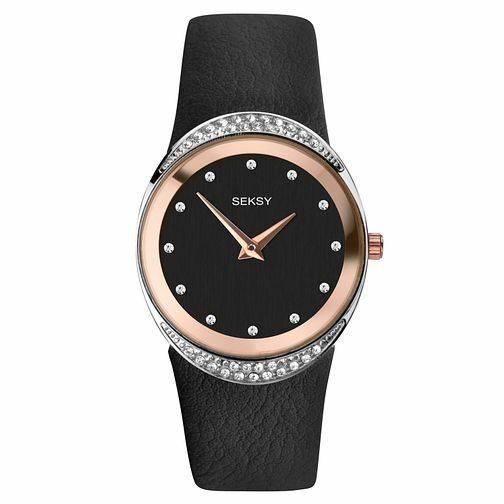 Add a subtle touch of sparkle to your everyday look with this feminine Seksy strap watch. This timepiece features a rhodium plated case set with Swarovski® crystals and an inner rose gold ring. The case showcases a bold black stone set dial with delicate rose gold hands. The watch is flawlessly finished with a soft black leather strap that sits comfortably on the wrist.